Artisan Children’s Theater proudly presents THE CAT IN THE HAT at its 150 seat Second Stage facility. The theater is located at 444 East Pipeline Road in Hurst. The show runs Friday, May 6, 2016 through Saturday, June 11, 2016. Performances are at 12:00pm and 5:00pm on Tuesdays, 5:00pm on Fridays and 10:00am and 12:00pm on Saturdays through May 28. Beginning May 31, performances are 10:00am and 12:00pm on Tuesdays, Thursdays and Saturdays. Reserved seating tickets are $7.00 for children 12 and under and $10.00 for adults. The box office number is 817-284-1200. More information can be found on the website at ArtisanCT.com. From the moment his tall, red-and-white-striped hat appears around the door, Sally and her brother know that The Cat in the Hat is the funniest, most mischievous cat they have ever met. But what will mum find when she gets home…? 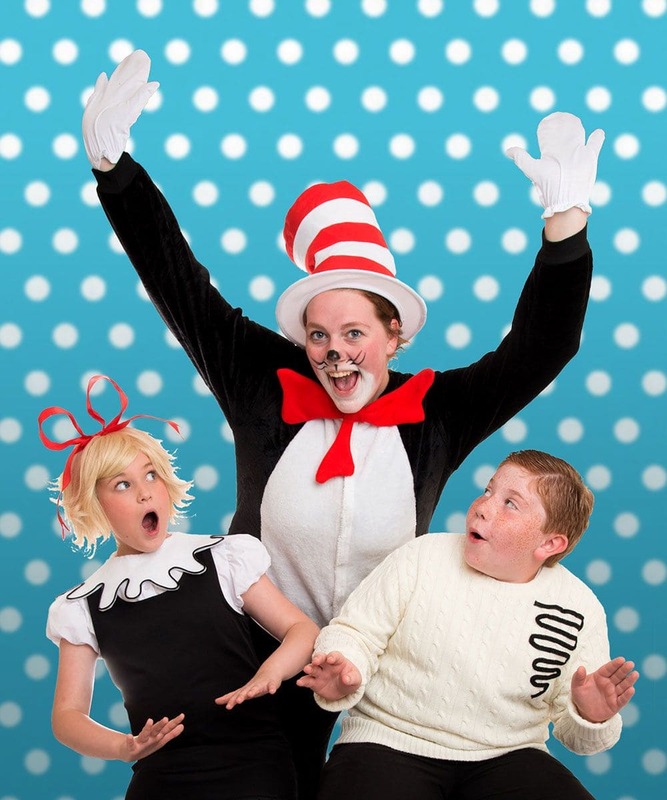 THE CAT IN THE HAT will be interpreted for the deaf and hard of hearing on May 20 at 5:00pm.